In 1980, at 34 years old, my dad became a senior partner in a firm of chartered surveyors/ estate agency in North Devon. With his salary of around £12k p.a and a £5.5 k deposit, he was able to get a mortgage for 3 times his salary and buy this 5 bedroom detached house with 8 acres & 4 barns for approx £41.5k. Which centile of nationwide earnings was your father in, in 1980, and which centile are you in now? 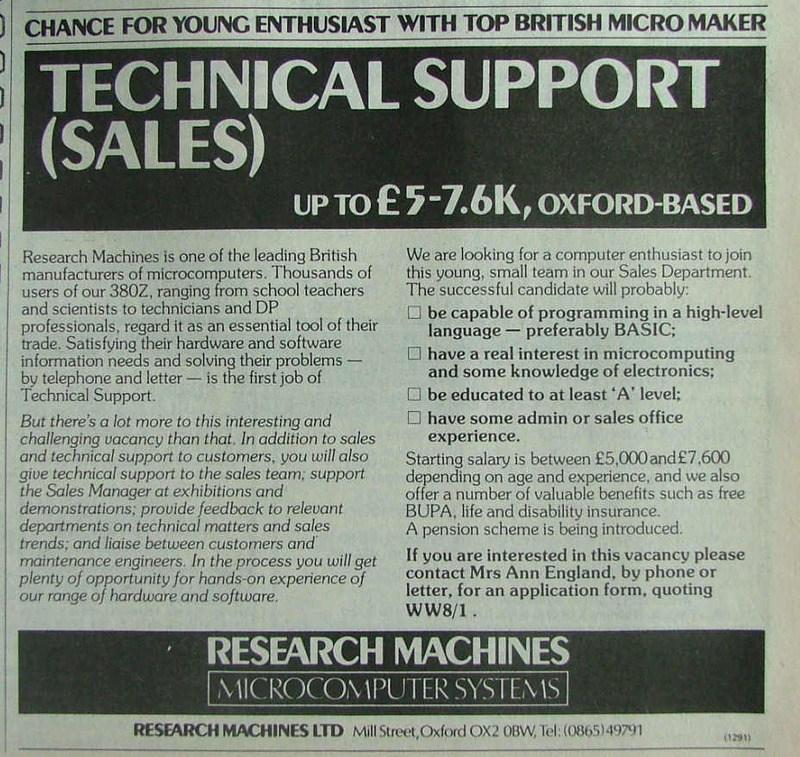 Even in 1980 that was a remarkably good buy. Was the house semi-derelict or something? Of course for that house to return to that price the social upheaval would have to be so enormous that 3 times your salary would probably be zero. Personally, I can't wait for the day that scenario becomes a reality. They did a fair bit to it (mad old cat woman lived there before) new bathroom/kitchen/full redecoration etc - it was bought at a time when just no one wanted big houses. I can see this happening again. So what's the problem? You get a nice wide driveway and garage on the second place...not like that mingy narrow one on the old house. The other element that benefited your father and will not benefit anyone buying today , was the fairy god mother of inflation that came hand in hand with wage inflation , 1979, i left school and in 1980 got 25% pay rise and this was the norm back then, every year afterwards my lowest payrise was 7% untill 1993 when i got 3%. So anyone taking out a big mortgage in 1980 saw it get small very quickly , those taking out big mortgages today will not be seeing the fairy god mother of wage inflation so their big mortgages will remain big. Thanks to the wonders of QE we've got inflation. Just not wage inflation. Gord was a genius. Your dad had a 13% deposit and a salary somewhere around double the national average. This allowed him to take out a 3x mortgage and buy a dilapidated shell in an unfashionable part of the UK and turn it into a dream home. As far as I can make out, you earn about £50k, which is about double the national average. You also have a deposit of 30K which is about 17% of your target price of 3x income plus £30k deposit. So you have a comparable income and a bigger deposit than your dad. That you cannot afford a similar house makes you angry. You need to understand that all things are not equal. Apart from the fact that partner's incomes are now taken into consideration, Devon, which was a Hardyesque backwater in the late 70's / early 80's, is now the favoured location of ultimate choice for the richest age based demographic in the history of the country: The boomers. If you want a similar bargain, perhaps you should consider areas that are currently unfashionable such as the northwest and the far northeast. Bear in mind that areas that are cheap due to lack of employment will be attractive to rich retirees - who will create employment. This may be what happened in Devon. Infaltion without wage inflation , in real terms will make big mortgages bigger. Oh, I know the feeling. Even so, you must remember that an everyday guy might have been on £80 pw then. Home prices were within multiples which had some relationship to earnings. You could still buy a terraced 2 bed in Bristol for £11k. Your Dad had a pretty good deposit. The West country had not been quite so overrun by bankers with ludicrous bonuses buying second homes for cash. The ability to borrow for BTL was very restrained since the AST laws did not start until 1987 with a 'protected shorthold' system similar to now. How times have changed! Makes you think that council houses should not have been given away and BTL lending kept under much tighter control. Has it helped anyone in the long run? I just checked on the road where I was born. My Dad paid £6k for a detached house there in 1964. The house next door -not quite as good, is up for sale at £895k today. It is so stupid I can hardly believe it. That makes it 150 times more expensive in 46 years!!!!!! AVERAGE WAGE IN 1964 WAS £1,168 PA. It may be about 25 times that now - CERTAINLY NOT 150 TIMES MORE. Indeed.. mortage payment will be bigger as a % of take home pay. I think the relative income percentile measurement would be more reflective of reality. A family income of £50k today puts one at 94 percentile. The semi shown is probably not the top 6% of the UK housing stock. So, what income percentile does £12k in 1980 puts one in? At 32 years old, with a £30k deposit and borrowing 3 times my salary, here's what I can buy. at 40 years old with a 60k deposit i would be happy if a 3x my 35k salary would buy me the second house in my area. REALLY happy. It is indeed highly odd. Our family income is within the top 1% yet locally I can only afford houses as high as the 60th centile. And that's with a fat deposit. Could it just possibly be further evidence that they just might be a bit to expensive? This is one of the things I dont really get with the level of prices just now. Ok lending multiples to couples are far higher than they were but we are told that more and more people are choosing to live on their own, I know this increases demand but there is a limit on what anyone can afford - especially single people. To prove the point, a one bedroom flat identical to mine has just gone on the rental market here in Edinburgh for £565* a month, this is a very small flat, two people could of course live in it but would have to get on very well (or be out alot). When even rentals get out of kilter with salaries something has to give. Based on the selling price of another identical property on the block, a BTL mortgage on this place would be (according to a mortgage calculator I have just used) would be something in the region of £800 a month none of this makes any sense. *I should probably point out that my rental is about £100 a month less than this. £12k in Devon in 1980 would've been between over 3 and probably nearer 4 times average, with farm labourers and unskilled workers somewhere in the £2k ballpark, and middling professionals such as teachers around £4-5k.